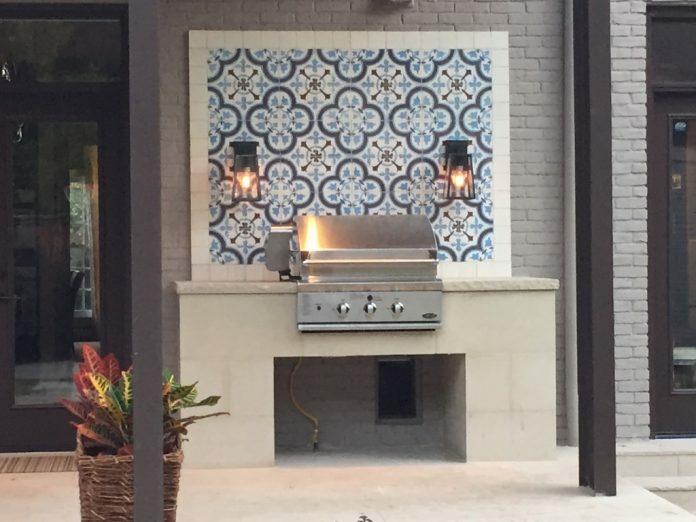 Our Cluny cement tile sizzles in this outdoor grill created by a client in Dallas, Texas, turning what could have been a very simple, austere space in something playful, definitely colorful and certainly a centerpiece. The same qualities that make our cement tiles perfect for an outdoor space — in addition to their beautiful designs and vivid colors, our concrete tiles are long lasting, easy care and low maintenance — make it perfect for your home or restaurant space, whether used as floor tile or wall tile. Call us today at 213-482-8070 to discuss which of our encaustic tile designs would be perfect for your home or restaurant project.